Now moving on to the wants! My last few “wants” have been pretty major things…new furniture and lighting. And let’s just be honest with ourselves, those kind of large purhases just aren’t a daily occurence in my house…if they are in your house…you’re probably reading the wrong blog, honey. Either way, I decided to tone it down a little this week with a few smaller wants. 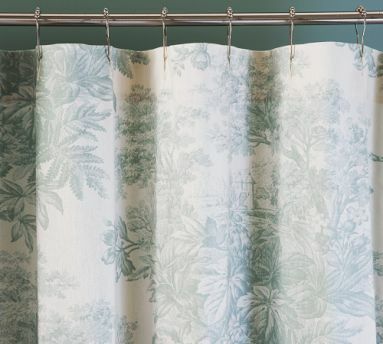 Pretty foliage and sweet little birds in my teeny tiny bathroom sounds delightful! So, yes please, Pottery Barn…I’ll have that. K thanks. And speaking of sweet little birds…I LOVE ALL THINGS BIRDS….nests? love ’em….eggs? 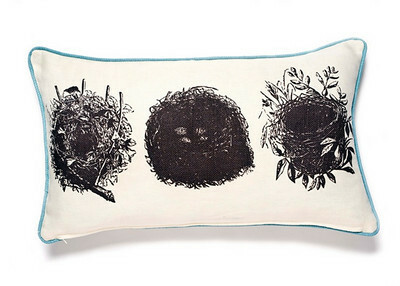 love ’em… And check out this pretty Thomas Paul pillow from http://www.allmodern.com. Love it too! So that’s it…I will not allow myself to want any large things this week (yeah right….I’m just not admitting them). So here are my watered-down Want Its! Hope you enjoy! What do you want??? ?